Modern day employees prefer to do their job more efficiently with greater flexibility, which can be done by using Shepherd's mobile application. Shepherd's Mobile app has a sleek and intuitive design that takes cues from iOS, Android and Windows Mobile OS, our app integrates seamlessly with the browser version of the system giving users an identical experience across multiple devices. HR, management and employees can enjoy the luxuries of staying in tune with work related matters on the go from any device. 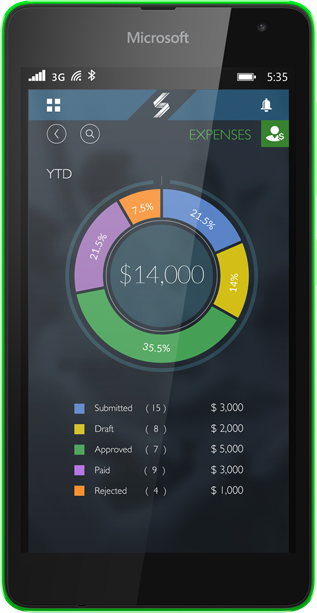 Management and HR can easily monitor and evaluate business-wide trends on the go. Giving them instant access to their employees performance management, workforce planning, career development and much more. Shepherd Mobile enables business leaders to constantly maintain a holistic overview on all matters regarding their employees life cycles starting prior to day one. Shepherd's mobile application enables management and employees to maintain open end communications. It offers an array of features that let both management and employees easily relay thoughts, concerns and inquiries quickly. Allowing your organization to constantly stay informed, engaged and included. Access the information you need to improve performance. Continuous performance management leads to a workforce harboring more expertise and motivation. Shepherd Mobile gives HR & management the capability to monitor and review workforce progress based on aggregated analytical information, allowing them to forecast effieciently and pinpoint areas where future difficulties may arise. Management and HR can easily track performance and then develop and submit performance evaluations and appraisals easily, while on the go. Harness the power of The Business Cloud. This level of talent management is unprecedented in any pre existing mobile solution. Bring data from all the systems you use to run your business together into one all-inclusive platform. Combine, consolidate, and transform your data to create new in-depth insights. Uncover new talent insights with unparalleled data visualizations. Combine collaboration with communication and engage your workforce with real-time capabilities. Monitor performance and learning and take action to optimize your work processes. Shepherd’s intuitive talent management platform is available on any device from anywhere.